With a base of nine powerful, certified organic oils, Root Science’s Youth Serum contains something to treat virtually every skin condition. Acne-prone? Tamanu and jojoba can help heal your skin. Dehydrated? Camellia and baobab can restore moisture. In need of balance? Meadowfoam and grapseed offer light slip and primer-like benefits. And that’s just skimming the surface of this potent formula. Root Science Youth Serum also boasts antioxidant-rich pricky pear, pomegranate and cranberry seed oils to create a balanced facial oil suitable for all skin types. 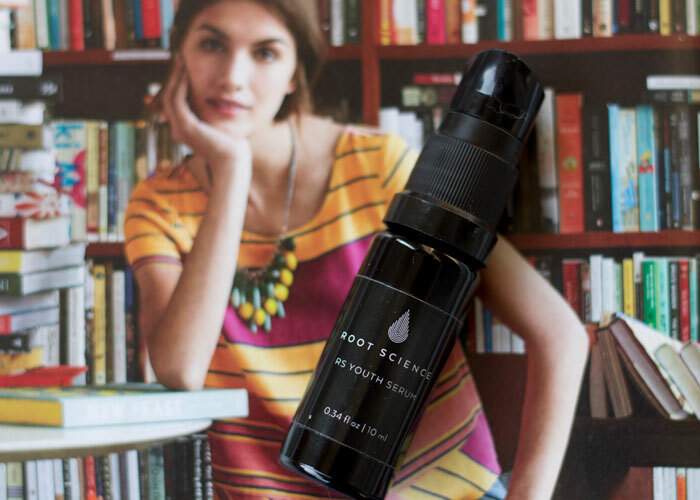 Root Science Youth Serum is designed to nourish you skin while fighting acne and environmental stressors. Its formula features antioxidant-rich ingredients that help slay free radicals while delivering important skin-healing vitamins, minerals and essential fatty acids to the skin. Tamanu oil, a star ingredient for acne-prone skin, help heal skin quickly and provides anti-inflammatory benefits — every acneic person should have tamanu oil somewhere in their routine! Basically every product I’ve ever used that contains tamanu oil has been a win for my skin, and Root Science Youth Serum is no different. When it comes to texture, Root Science Youth Serum has a low-medium thickness that melts beautifully into skin, leaving a luminous, primer-like finish. It’s wonderful for layering under foundation, and even dabbing onto the cheeks at mid-day to reignite that glow. I even found myself applying a touch to the tops of my hands to keep them silky. The serum has a light, pale sweetness to it — likely thanks to the pomegranate — mixed with an understated herbacious tone that is both comforting and grounding. At the oil’s finish, you can almost detect a trace of honey. This makes it a joy to also use during your evening wind-down routine. Who wouldn’t want a sniff of honey before bed? Root Science Youth Serum’s gorgeous, golden coloring comes from the combination of jojoba and sea buckthorn extract, the latter of which is high in essential fatty acids and beta carotene, giving it a deep red-orange color. 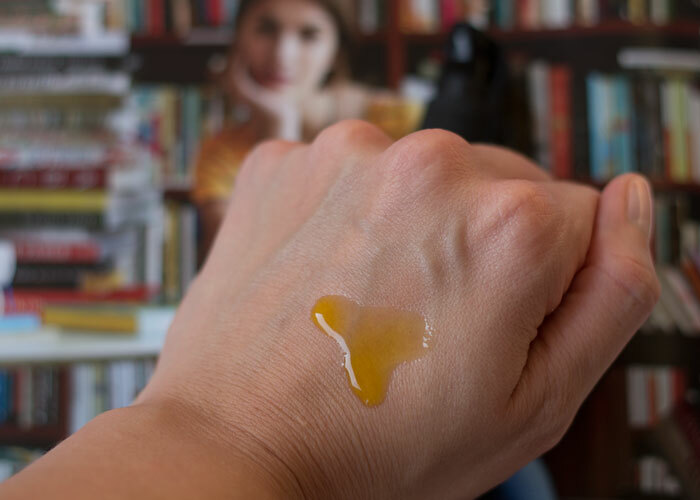 The oil blends well into your skin — no, you won’t detect any orange glow — but you’ll get that sheen that makes your skin absolutely radiant. I like that this oil is easy to use both day and night. There’s no photo-sensitizing ingredients to worry about, and the texture is perfect whether you’re gearing up for the day or winding down for rest. Perhaps in the cooler months, you may want to layer with a cream or balm, but that can be said about most serums. I find that right now, this serum is just enough moisture for my combination/oily skin. My only critique of this product is the listing of “proprietary blend of organic and wild harvested essential oils” toward the end of the ingredients list. While I respect that many makers feel compelled to protect their hard-tested formulations, it comes down to an issue of transparency and, quite frankly, allergies. This isn’t to pick on Root Science, but a reminder that even though a product is natural or organic, someone may still have an issue (Example: Chamomile is a big offender for people with ragweed allergies!). Aside from that, Root Science Youth Serum has made quite the impression on me — and my skin. While this serum isn’t an overnight miracle for acneic skin (um, what serum is?! ), it’s quite a posh formula that had my skin looking and feeling very pulled together and normal. I’d repurchase this serum in a heartbeat, and recommend it to those who are looking for a little bit of it all in their daily serum. Have you tried anything from Root Science? Do you use the same serum for day and night? What are your thoughts on proprietary blends in ingredients listings? What are you allergic to, if anything? Tell me in the comments section!